Acting in response to U.S. missile shield plans in Europe, Russia has activated a Voronezh-class missile attack early warning radar station. President Dmitry Medvedev attended the station's opening in Kaliningrad, Russia's westernmost region bordering on the EU, on Tuesday. It is officially announced that the radar warning station is not aimed against the West, but included in the system of measures to provide an asymmetric response to the unilateral deployment of U.S. ballistic missile defense systems in Europe. "I hope the radar system will work efficiently and properly fulfill its purpose," the president said after congratulating the station's crew on entering combat duty. This radar system has been working in trial mode since early 2011 and was planned to be fully operational in early December. It is directed westward and looks "over Europe." The radar station activated near the city of Kaliningrad is described as an "off-the-shelf" Voronezh-DM system. Off-the-shelf, or modular, radar systems are delivered from the plant in 23 modules and can be assembled within 12-16 months at a prepared concrete slab site. Soviet-era radar stations were tall concrete buildings with up to 4,000 built-in technical elements, which sometimes took more than five years to complete. An off-the-shelf radar station can be easily modernized and retargeted by replacing modules, or dismantled for redeployment somewhere else. The modernization of Soviet-era radar stations took time, was expensive and only possible as long as the concrete structure was compatible and which, in any case, typically caused problems with installing new equipment and laying new communication lines. And lastly, they could not be redeployed. The turnkey manufacturing and deployment of Voronezh-class radar systems costs only 1.5 billion rubles in 2005 prices (about $48 million at the current exchange rate). Daryal-class over-the-horizon radar units deployed near Pechora in Russia and at Gabala in Azerbaijan cost 19.8 billion rubles ($632 million) in comparable prices. Apart from the Kaliningrad station, two other Voronezh-class radar stations have been deployed: one in the village of Lehtusi in Karelia that covers the North Atlantic, and one in Armavir, in the southern Russian territory of Krasnodar, covering the southern and southwestern directions (it will also cover the southeastern sector when its second section is activated in 2012). One more station is being prepared for combat duty near Irkutsk in eastern Siberia; it will provide easterly detection. The Russian early warning system also includes a group of radar units inherited from the Soviet era. They were built along the Soviet Union's perimeter due to their technical specifications and the country's international treaties. After the Soviet Union collapsed in 1991, most of them became the property of other countries. In fact, Russia inherited only the Daryal radar station near Pechora, which was directed at the North Pole, and the modernized Dnepr/Daugava station near Olenegorsk, covering the dangerous Greenland direction. A Daryal-class radar station was under construction in Skrunda, Latvia, and a Volga-class system in Gantsevichi, Belarus. Since it was impossible to complete the unit in Latvia, it was demolished in 1995. The radar unit in Belarus was gradually modernized and activated in the fall of 2003. If anything goes wrong, its responsibilities will be taken over by the Voronezh-class radar station in the Kaliningrad Region. The powerful radar facility at the Balkhash-9 site in Kazakhstan was never completed and was later plundered and burned. Kazakhstan now has only older radar stations. Ukraine controls stations at Mukachevo and in Sevastopol. Until 2008, they were manned by Ukrainian personnel who supplied information to the Russian Strategic Missile Force command under a bilateral agreement. They are being gradually decommissioned now. Russia has been working hard since the late 1990s and early 2000s to patch holes in its early warning network, but the results are becoming visible only now. 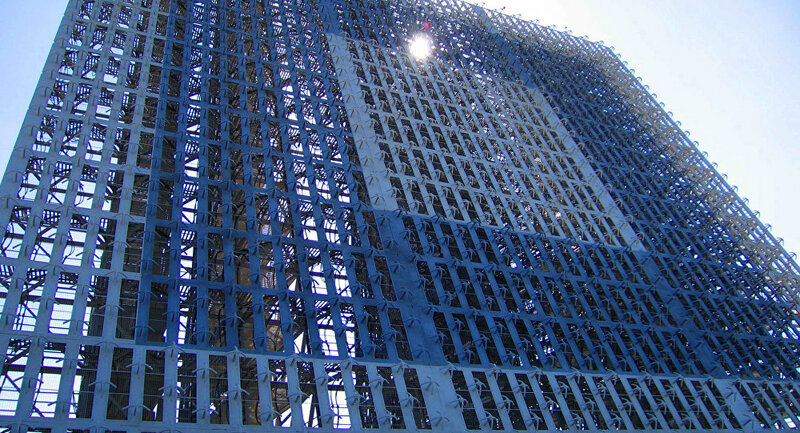 The activation of new Russian early warning radar stations has coincided with the cooling of U.S.-Russian relationship over differences regarding the European ballistic missile shield. Russian authorities used the planned opening of the Kaliningrad radar station to remind the United States of Russia's point of view and the possible consequences should it disregard Moscow's opinion. "I expect that this step will be seen by our partners as the first signal of our country's readiness to make an adequate response to the threats which the missile shield poses for our strategic nuclear forces," Russian news agencies quoted President Medvedev as saying. At the same time, he noted that the radar unit is not aimed against Russia's western partners and could be used jointly to repel a common threat. The general atmosphere at the bilateral consultations on strategic stability remains tense. Russia has reacted nervously to all U.S. initiatives related to the European segment of the global ballistic missile defense (BMD) system, insisting that they be coordinated with the Kremlin and hinting at that project's danger for Russia. "As I said on November 23, if our signal is ignored, we will use other means of defense including the adoption of tough countermeasures and the deployment of a strike group," Medvedev said at a meeting with military leaders after activating the Kaliningrad unit. These countermeasures would include the increased protection of strategic nuclear facilities, the modernization of ballistic missiles which will have improved warheads, and the potential deployment of strike groups in the endangered areas in Russia's south and west that will be targeted at individual BMD components in Europe.